Many strange things have been spotted on Google Earth, from Bigfoot, to USOs, to Jesus and Mary. Now, you can add a plane to that list, but it’s not anywhere near where you’d expect it to be. 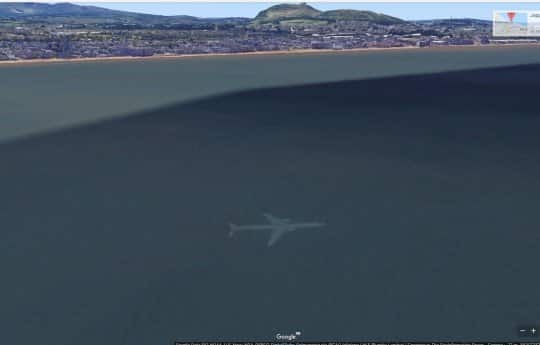 A Google Earth user claims to have spotted a plane under the sea, nine miles away from Edinburgh Airport. Robert Morton, from Doncaster, UK, said: “It’s incredible and very strange. It looks like it is underwater. Fortunately, there’s a simple explanation. “I have never heard of any aircraft crashing leaving Edinburgh or that area,” he continued. People actually spot “undersea planes” pretty regularly on Google Earth, often believing them to be missing such as Malaysia Airlines MH370. One example was the seemingly submerged plane to go viral in 2016. A twin-engine aircraft was “spotted” at the bottom of Lake Harriet in Minneapolis, although there were no reports of flights missing in that area. 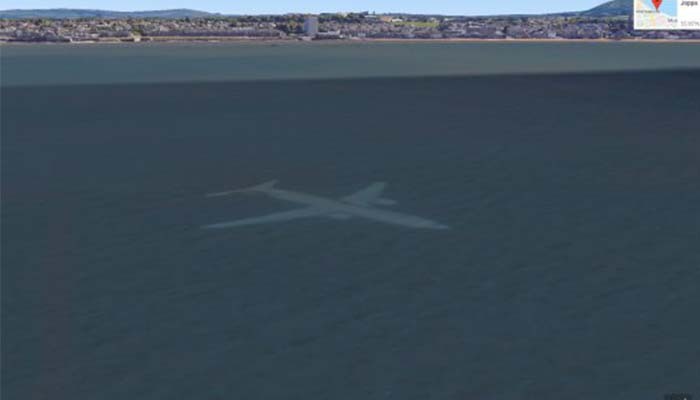 Like the latest Google Earth discovery, the image was the result of a Google Earth satellite capturing the plane just as it flew over the water. It may be less exciting that a mysterious plane crash, but at least no one was harmed in the making of this conspiracy theory.